Sytel Limited announced that its predictive dialling software is now available as part of the SAP Business Communications Management software, version 7. Outbound campaign settings such as call abandonment rate and dialling mode are now driven through the SAP Business Communications Management System Configurator. With the predictive dialling component, contact centres can improve the efficiency of their telemarketing campaigns. SAP Business Communications Management is an all-IP contact centre suite for inbound and outbound customer communications. It helps companies improve customer service and run successful telemarketing and sales programmes. The outbound campaign management tools can be complemented with Sytel’s predictive dialler, which helps contact centres to increase productivity even further. 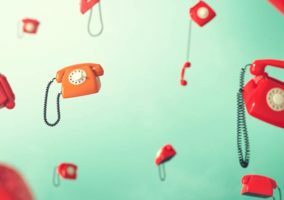 The dialler connects already answered calls to agents, which cuts unnecessary waiting times and enables agents to spend more time talking to customers.